James was first inspired by wild food at the age of 6 by his great-grandmother and father taking him out to pick blackberries, sloes and field mushrooms. Around the same time, he also was also taken fishing for the first time, a pursuit he has never tired of and love for outdoor activity was born. 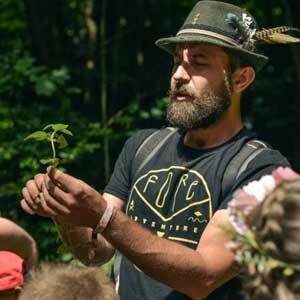 With a career in graphic design and the music business, wild food was only ever a hobby until in his late twenties he decided to see if he could make a career as a bushcraft teacher. 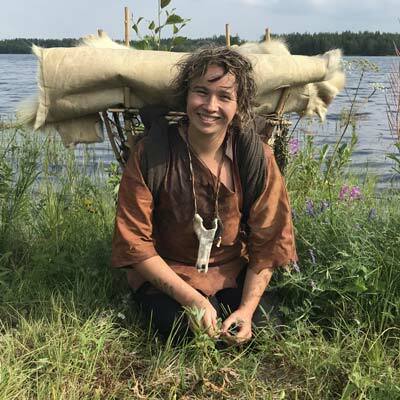 James see's foraging as the widest reaching skill within the field of bushcraft whether it is utilised to procure wild food, materials for craft and shelter, camp apparatus or signs of animals. 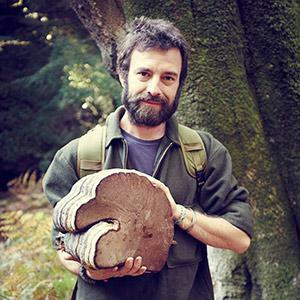 Fungi are a bit of an obsession of James' and he entered into teaching as an assistant with Ashdown Forage and Truffle and Mushroom Hunter. 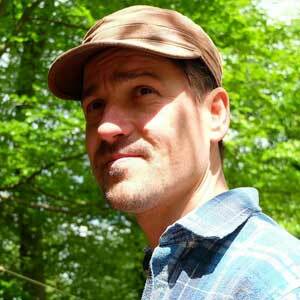 In 2015 James was part of a group of 27 professional foragers who founded the Association of Foragers - an international professional foragers association, promoting sustainability and ecological stewardship through the teaching and harvesting of wild plants and fungi for use as food, drink and medicine. James is also a member of the British Mycological Society, The Coracle Builders Association and holds a level 4 Bushcraft Leader certificate.